All Guitar Hero, DJ Hero, and Band Hero DLC, as well as the Guitar Hero mobile game itself, will no longer be available after March 31, Activision announced today. "We want to thank all of you for supporting Guitar Hero over the last nine years," Activision said in a post on the Guitar Hero Facebook page. Guitar Hero servers will stay online and all the songs you already purchased will remain playable. As a "thank you" to fans, Activision will make select songs available at a 50 percent discount for Xbox 360, PlayStation 3, and Wii through the end of the month. In addition, you can download the Guitar Hero mobile game from iTunes for 99 cents until March 31. 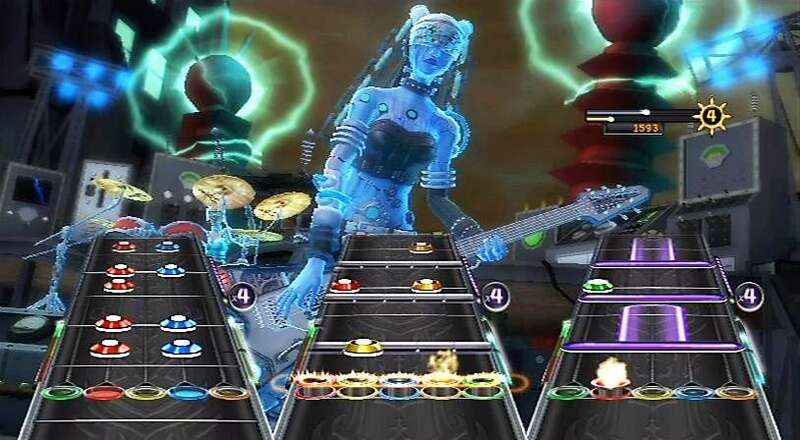 By comparison, thousands of DLC songs remain available for Harmonix's music game franchises, including Rock Band and Dance Central. Both the Rock Band and Guitar Hero franchises are expected to return some day. Harmonix CEO Alex Rigopulos has pledged that Rock Band will return "at the right point in time," while Activision Blizzard CEO Robert Kotick is hopeful that a "reinvented" Guitar Hero will come to market some day.